When you step up for your next big challenge you can provide struggling families with a much-needed break. So when you seek out new horizons, you broaden theirs. Whether you’re a seasoned runner or novice jogger, a keen hiker or a biker, we have an event for you. We have places in some of the country’s favourite sporting events. If you’re seeking an adrenalin rush, why not experience a skydive? Or maybe take the plunge with a bungee jump or feel the rush of air as you’re swept through the skies on the wings of a plane! Taking on 12 half marathons in 12 months! 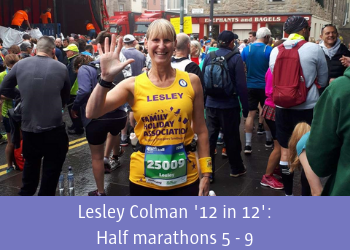 Lesley Colman first came across the Family Holiday Association back in 2010 in her role at First Great Western (now Great Western Railway), and in 2014 she committed to fundraise by running the Virgin Money London Marathon the following year. Since then she hasn’t looked back. In fact she’s kept running! 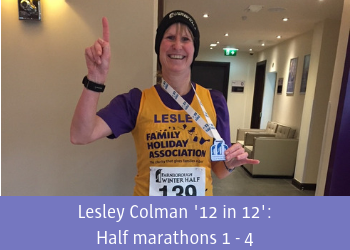 As an enthusiastic member of Chippenham Harriers running club, Lesley ended 2017 on a high, achieving Personal Best times in five key distances (5km, 5 mile, 10km, Half Marathon and Marathon). 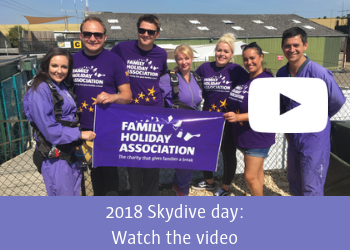 “To embark on another fundraising challenge for the Family Holiday Association has never been a hard decision to make. The support that you get from the team is amazing – they work tirelessly to ensure that any event or challenge you take on for them is promoted and supported in any way they can. My first marathon was the London Marathon for Team Starfish. Even though you don’t know the other individuals you are really made to feel included and belong to a team. All my events and challenges have required hard work and extra effort on my behalf, but this is nothing compared to the efforts that these families have to endure and undertake each and every day. Twelve half marathons in 12 months is a monumental challenge. You can see the events Lesley has taken part in so far, and what’s next here. 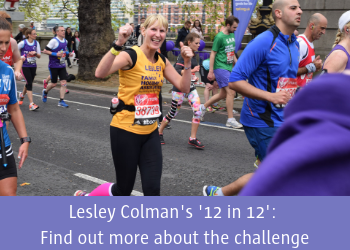 You can help keep Lesley motivated by sponsoring her – click here to visit her fundraising page. And of course you will be helping the charity send more struggling families on a much needed break. When you take part in a mass participation or endurance event for us, you become part of a special team – Team Starfish. 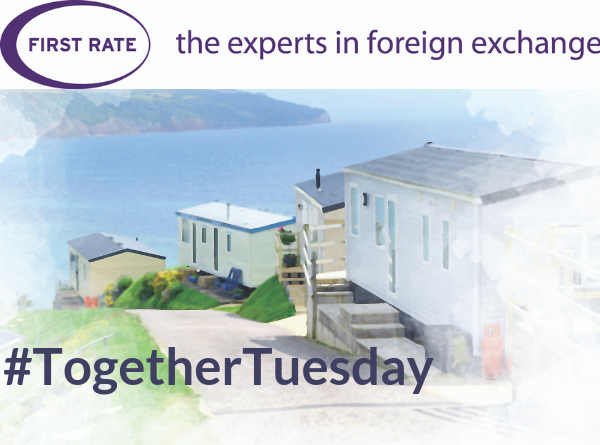 You will receive special updates every month and be invited to join our Team Starfish Facebook group, where you can share experiences and swap tips. 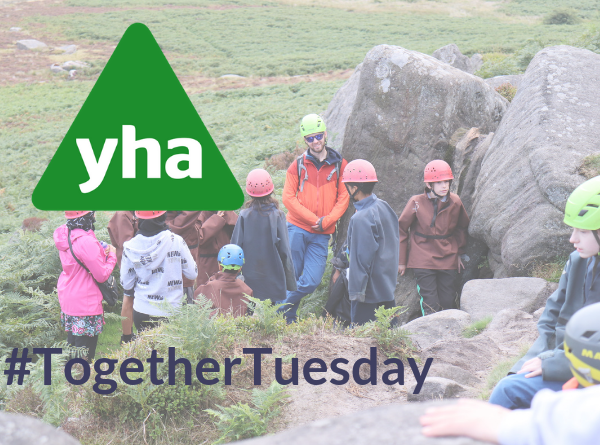 Fundraise for the Family Holiday Association and we’ll ensure more families facing the worst that life can throw at them, get some invaluable bucket & spade time. 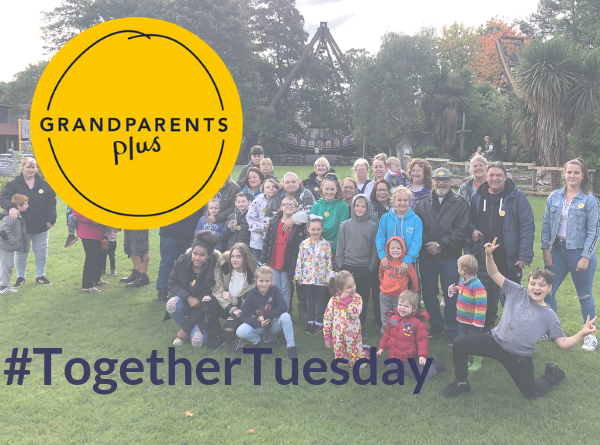 By pushing your own limits, you can lift families from theirs, help them get away from the worries and stress at home and create some happy memories to treasure. 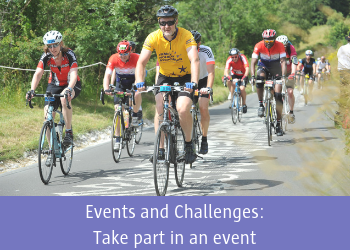 If you’d like to take part in an event, or talk to someone about setting your own challenge, contact Michelle Shepherd from our charity team by email or on 020 3117 0657.